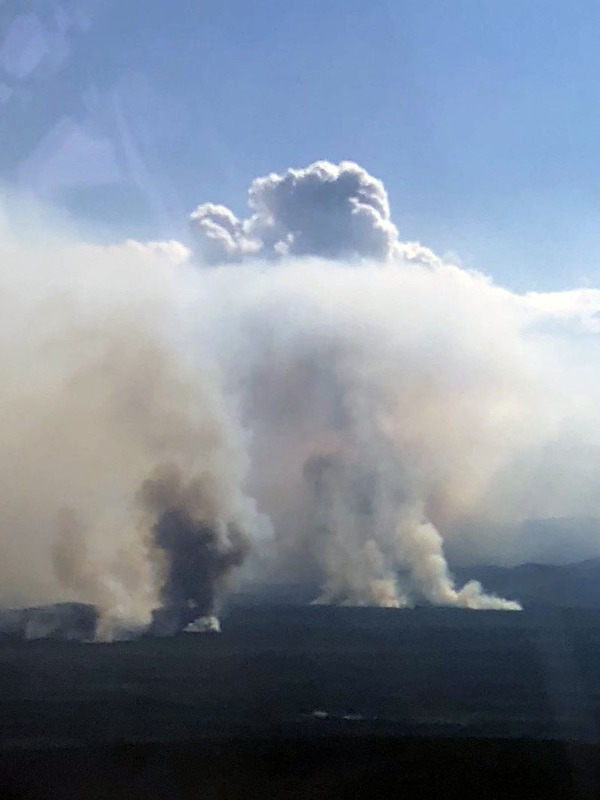 The Taixtsalda Hill Fire (#357) burning southeast of Tok has grown to 15,200 acres as of Sunday evening, according to the Alaska Division of Forestry. The fire, which started July 23, is approximately 14 miles southwest of the village of Northway and 38 miles southeast of Tok. A Type 3 incident management team based in Northway is overseeing the fire. There are approximately 130 personnel assigned to the incident. The cause of the fire is under investigation. Due to limited resources and the large size of the fire, efforts thus far have been focused on protecting Native allotments, cabins and infrastructure rather than full containment. On Sunday, crews initiated a strategic firing operation on one of two Native allotments closest to the fire. The burnout operation is intended to widen containment lines that crews have cut around the allotments. Crews were able to burn about 50 percent around an allotment 2 ½ miles from the south edge of the fire and hope to complete that burn today, if conditions allow. A burnout operation on the second allotment about 2 miles east of the fire was postponed until today due to shading from smoke produced by the fire. The shade made fuels unreceptive for desired consumption rates and crews will attempt to burn today, if conditions are favorable. The firing operations could result in additional smoke being visible from the communities of Northway and Tetlin, as well as the Alaska Highway, which is 20 miles to the east. One more Type 2 crews – Kobuk Valley #1 – was assigned to the fire on Monday and should be arriving later today or early tomorrow, which will bring the total number of people assigned to the fire to approximately 150. That number includes five Alaskan Type 2 crews plus additional overhead. Structure protection measures are also underway on allotments around Jatahmund Lake, approximately 10 miles southeast of the fire, in the event the fires moves in that direction. A structure assessment of all buildings in the village of Northway will begin Tuesday as part of long-range planning should the fire move toward the village. Community meetings have been held in Tetlin, Northway and Tok to provide local residents information about the fire and future community meetings will be scheduled when needed or if the fire burns closer to the communities. For more information about the Taixtsalda Hill Fire, call the fire information line in Tok at (907) 707-9866.